Every business owner knows that in today’s highly competitive marketplace excellent customer service is more than a preference – it is a prerequisite for sustainable growth and business success. The most successful companies also realize that great customer service is more than just sales support. In fact, it is a brilliant way to build brand awareness and promote a product or service. How do you go about making excellent customer service synonymous with your brand and a hallmark of your company? The best way is to learn from those that do it well. 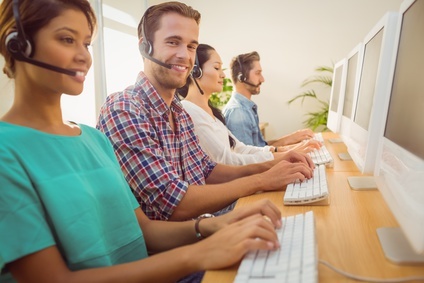 This blog post is the second one in a series that highlights lessons any business can learn from the world best customer service providers. Empathy denotes the ability to understand and share the feelings of another. In other words, it means being able to put yourself in someone else’s shoes or to see a situation from another’s perspective. In customer service, empathy is the key skill that enables representatives to communicate better with customers and address the emotional side of customer interactions. As Marsha Collier puts it: Customer service can’t always deliver solutions, but it can always deliver empathy. People who work for your company are nowadays often called “internal customers”, and it’s for a reason. They create the atmosphere your customers feel when they interact with your team. They tell what your business is worth. Eventually, any customer interaction is a two-way street. Not only it includes a customer, but also an employee who represents the whole company and its values on a day-to-day basis. The way employees treat customers clearly communicates the way they themselves are treated. Treat employees like Southwest Airlines: Southwest Airlines continually receives recognition for having the best customer service in the airline industry — and as one of the best places to work for. The company is famous for putting its employees first, focusing on the magic formula: Happy Employees = Happy Customers = Increased Business/Profits = Happy Shareholders. At Southwest Airlines, employees are considered as the best and most cost-effective source of advertising, so the company generously rewards its employees with great benefits that include free flights for employees and their family members as well as putting together many fun employee activities. The importance of being customer centric continues to grow. To succeed and survive in today’s competitive world, businesses have to build on their product development and marketing strategy based on a simple fact – modern consumers have more choices and higher expectations than ever before. It’s no longer enough to obsessively focus on developing new products and outshining competitors. In the Age of the Customer, the priority is about creating a culture around the customer and their needs. Be Customer-Centric as Amazon: Amazon is a great example of a company that puts the customer at the heart of everything they do. The company’s mission statement reflects a desire to be “Earth’s most customer-centric company, where customers can find and discover anything they might want to buy online, and endeavors to offer its customers the lowest possible prices.” These words are matched with exceptional customer service delivered by the company. You’ve probably heard of Amazon’s CEO Jeff Bezos relentless commitment to customer service, allowing any customer to send him an email directly to [email protected], as well as leaving an empty chair for the most important person (the Customer) at the company’s most important meetings, and personally apologizing to customers when Amazon’s press team failed. If you would like to find out more customer service lessons from Amazon, I would recommend you to read this article. Customer expectations are constantly changing and evolving as the technology keeps progressing. These days, to keep up with the pace, businesses of all sizes have to transition to new technology solutions and adopt new communication channels to meet the new standards of the digital age. Today, it is particularly important to ensure your business has a strong online presence and equip your team with the right tools to provide effective customer service. Adopt Technology like Nordstrom: The Nordstrom model for using innovative technology in customer service is second to none in the retail industry. Along with a variety of traditional strategies to satisfy customers, the company has been heavily investing in innovation and data-driven, personalized customer experiences online, and at their 225+ stores, with an entire technology team committed to bringing the experience of retail shopping to online. Take, for instance, Nordstrom’s investment in a 3D foot-scanning sizer technology that lets shoppers buy the shoes that will fit perfectly, or using their mobile technology to eliminate the need to wait in line to pay. The smart integration of Nordstrom’s online and in-store inventory also lets customers easily know where and when they can find items and choose how they want to purchase them. Would you agree that these four aspects are also important for making excellent customer service part of your brand? Are there any other important factors I have not mentioned yet? Feel free to share your thoughts as a comment below. And as always, thank you for reading our blog!